Rebel Visionaire: 10+1 Perfumes for you to J'adoooore!!! 10+1 Perfumes for you to J'adoooore!!! I am thankfully surrounded by lots of women everyday and I know that this is the time of the year that you usually buy a perfume or two, renewing your favorite one or going for something new and different. So I decided to make a list of what I think are the best perfumes, as both my family and friends have worn those from time to time and I adored them. 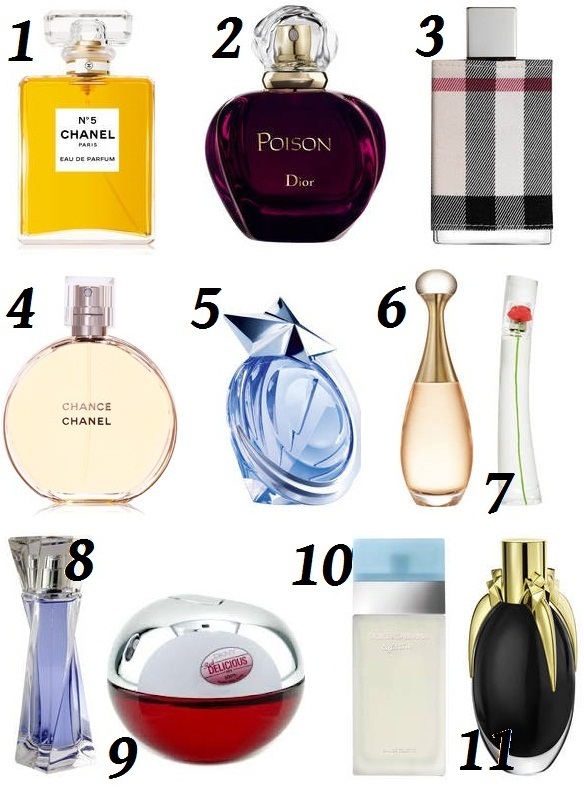 So here you are, 10 + 1 perfumes that I adore for you and your owns to adore as well. Enjoy.